- Make a simple syrup by combining 1 cup of sugar with 1 cup of water in a small saucepan. Heat it over medium heat and whisk until the sugar is completely dissolved. It will be ready when the liquid is completely clear. Let it cool. 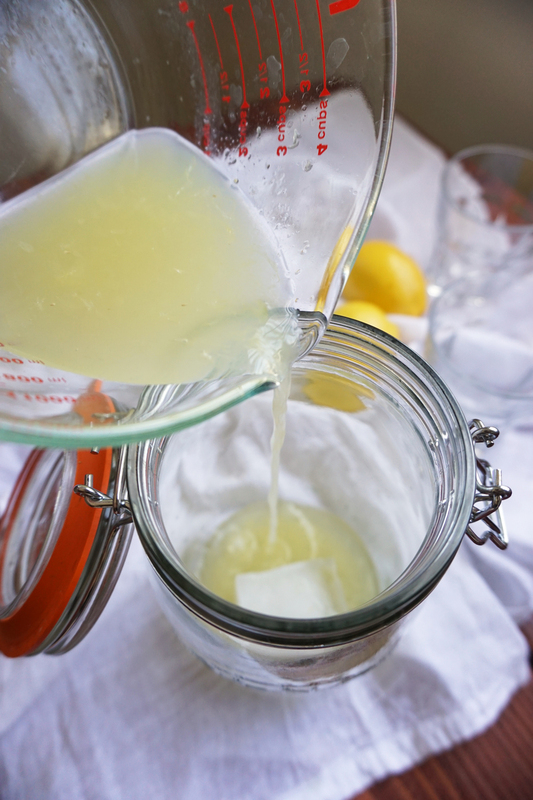 - Wash and juice 6-8 lemons until you have 1 cup of lemon juice. - Wash and dry your strawberries. 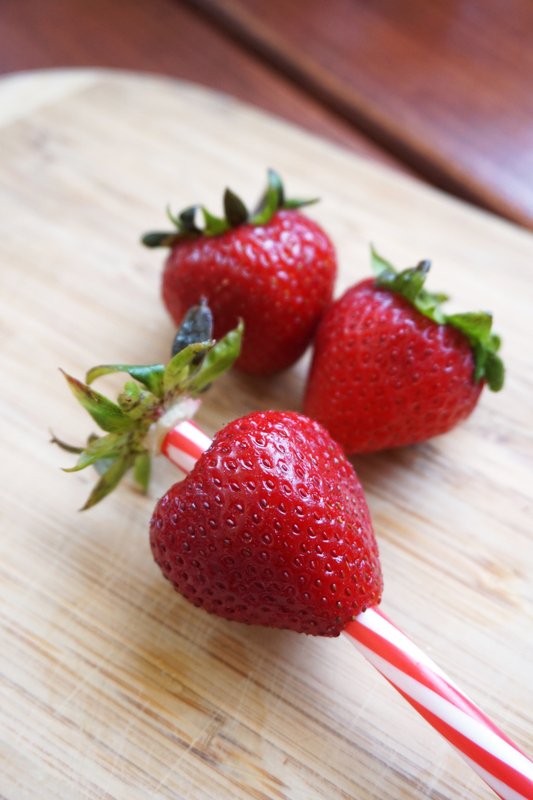 The easiest and most efficient way to hull a strawberry is simply to use a straw! By inserting the straw from the bottom of the strawberry upwards into the fruit, it easily removes the stem. I like to slice all the strawberries in half to help the blender out. - In a blender or food processor, purée strawberries with ½ cup water until smooth. - I like to use large ice cubes from a silicone mold I have (they’re for whiskey) so that the ice melts slower and doesn’t dilute the lemonade too much. In a large pitcher, combine ice, lemon juice, simple syrup, and water. If you are making spiked lemonade, stir in 1 cup of vodka or tequila. - Pour in 4 cups of water. You can adjust this to as much as 6 cups of water depending on your taste, but I’ve found that 4 cups is the perfect balance of sweet and tart! - Rim your glasses with a lemon wedge and sugar before serving this refreshing lil treat! :) Easy peasy lemon squeezy! This lemonade works really well on its own as well. 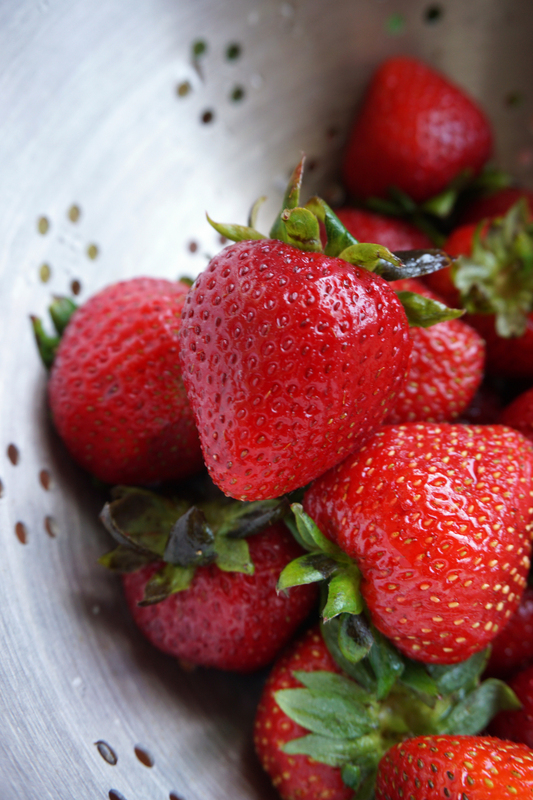 Strawberries are available year round, but they’re in peak season in the middle of April till the end of June. It’s nice to take advantage of fresh fruit when it’s in season! 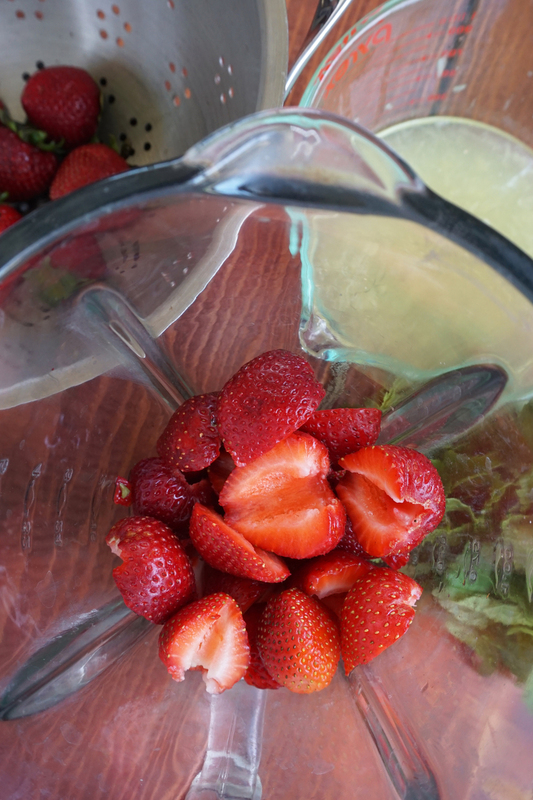 I’ve made a few pitchers of this strawberry lemonade…some straight, some spiked, and it’s delicious either way! 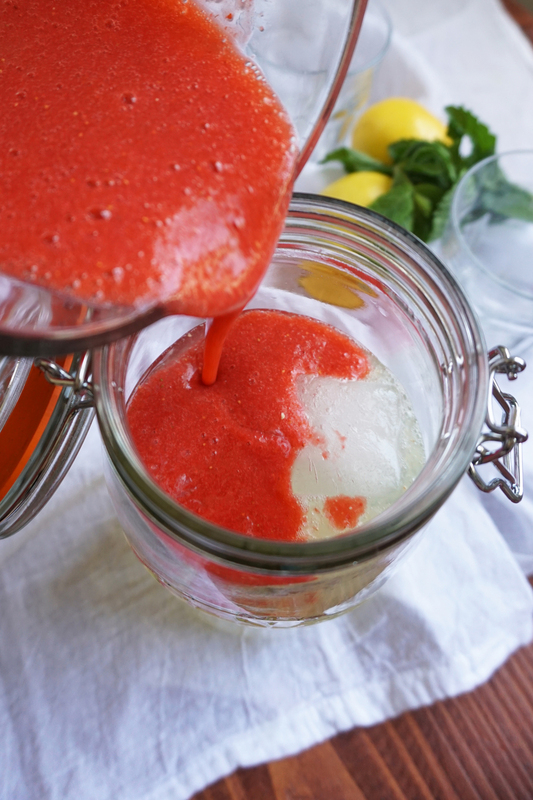 Super refreshing for the summer and really cheap to make a huge batch! :) Hope you all have a great week!